I upgraded my turboDial for Campaign SMS but am unable send an SMS from my campaign. Can I use a cell phone number as my SMS from ID? Can I send images in an SMS from turboDial? Can I receive images in an SMS in turboDial? Can I track when an SMS has been opened? An Inbound SMS Was Forwarded to the Wrong User. Why? In your HTTP POST process in your Campaign Sequence, you misspelled the Name ‘userId’ and forgot to capitalize the ‘I’. In your HTTP POST process in your Campaign Sequence, you entered a phone number for the ‘from’ value and did not use a phone number you acquired in the “Inbound&SMS” section of your turboDial app. U.S. law does not permit “spoofing” the from number on an SMS message; the from number must be a real phone number assigned to the device that sent the message. For that reason Twilio does not provide a method to substitute a personal phone number for the from ID on an SMS message. Instead, you must use a valid SMS-enabled phone number that has been acquired within turboDial. No, that capability is not available at this time. 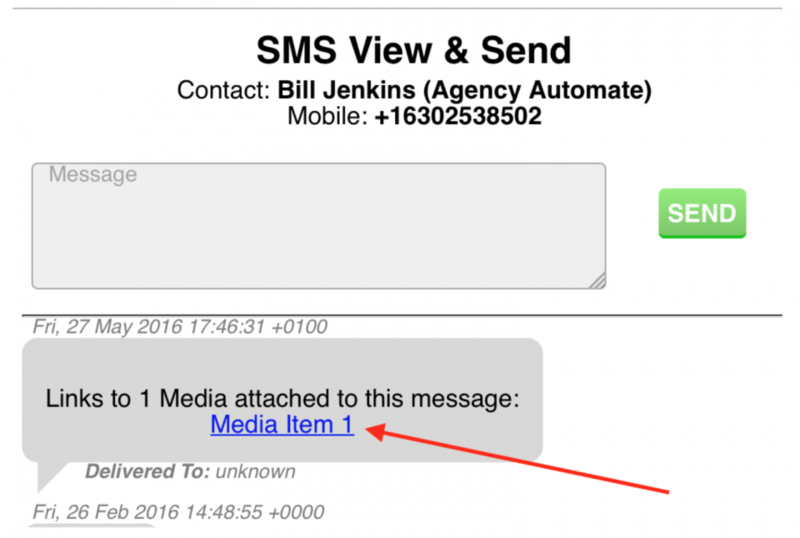 Yes, you can receive images via SMS text messages to your inbound turboDial number. The email message you receive for the inbound SMS will contain a link to the image. Also, if you have the Hosted Voice add-on then you will receive an alert in your turboDial panel when an inbound SMS is delivered to you. You can click the green SMS button to view it. That will open the “SMS View and Send” window, and the SMS message will contain a link to view the image. Open tracking for email requires the use of an embedded image (usually 1 pixel) that is retrieved by the recipient’s email app from a server when the email is opened. The server can then track that the email message was opened by the recipient. This is the least accurate of the email metrics. For SMS, there is no image, only text, so open tracking is not possible. With turboDial you can include a link in your SMS and you can accurately track if the recipient clicks the link. You can use an MMS service to send images via SMS. However most MMS message images are retrieved immediately by the receiving device when the MMS arrives, so they don’t work well for open tracking. See this page for details on how turboDial decides where to forward an Inbound SMS. 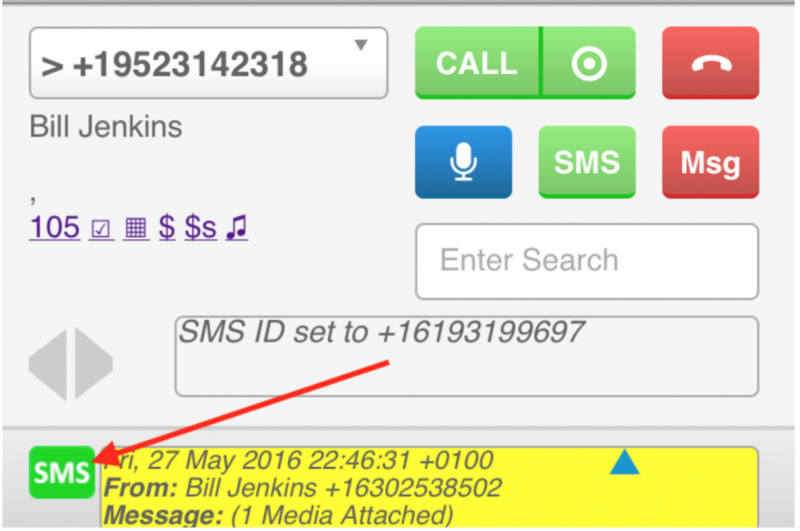 View the “Tasks” tab for the Contact Record of the Contact the SMS message was received from. Look for the Inbound SMS saved as a Note Record under the Tasks tab. When you find the Note Record for the Inbound SMS, continue further in the Note history to see the next previous Outbound SMS to that Contact. The sender of that Outbound SMS will be the User turboDial forwards the Inbound SMS to. Or, if that Outbound SMS was automatically sent from your Infusionsoft campaign then the “reply” field found in that Note body will determine where the Inbound SMS is forwarded. If there is no previous SMS in the Contact’s Note Record history then look instead for a previous Outbound phone call. The User who made that call will be the User turboDial forwards the Inbound SMS to. If there is no previous Outbound SMS or Call then turboDial will forward the SMS to the Owner of the Contact Record. If there is no Owner of the Contact Record then turboDial forwards the SMS to the email address configured into the Inbound Number.